After what feels like weeks of teasers and feature previews, V40 ThinQ is now all official and detailed. As we already knew, the phone features five cameras (3 on back and 2 on front), a Snapdragon 845 processor, 6.4″ OLED display with top notch, 3,300mAh battery, HiFi Quad DAC, 3.5mm headphone jack, IP68 rating, and Android 8.1 Oreo. In terms of it being a 2018 flagship, it certainly plays the part well. 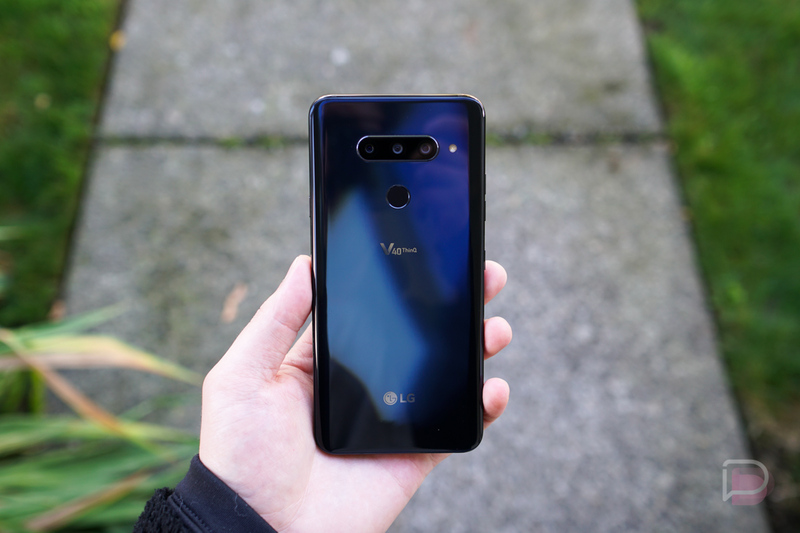 For all V40 ThinQ details, check out our full review. V40 ThinQ will be available in-store starting October 18, with pre-orders starting as early as today. Pricing begins at $899.99 at US Cellular, gradually going up until you hit Verizon’s unit at $980. We’ll provide links to each carrier-specific model as they are made available by the carriers. Should you pre-order, LG is tossing in a DJI Osmo Mobile 2 gimbal and SanDisk 256GB Micro SD Card with adapter (Approximate consumer value: $258.00). If you don’t pre-order and end up buying afterwards, you’re eligible for a free SanDisk 256GB Micro SD Card with adapter. I expect select carriers to offer their own promotions, too.